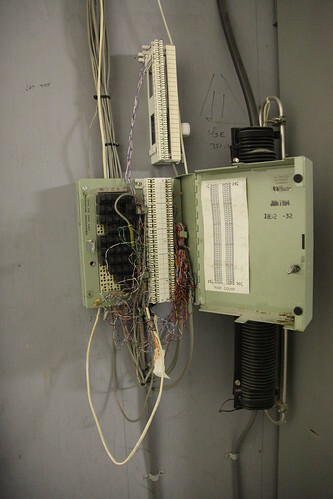 Classic late 1990s NYNEX era spaghetti wiring inside a punch down box. You can tell they had taken no pride in their cable management. Verizon had no intentions of cleaning it up, either, especially not considering the massive number of disconnects they likely needed to perform here on top of this. Note that many of the fusible links were missing (the square blocks in the left side).